Summer Drama Workshop: Registration Open Now! The wait is over! Registration is now open for the 31st season of Summer Drama Workshop. We’re bringing Frozen, the Little Mermaid, and more favorite characters to life this summer. Find out more and register now! Rehearsals begin April 9! Visit the River’s Edge Chorale webpage for more information including a link to register! We are so excited to be hosting our first ever Paws for the Arts fundraiser on May 18. This event will feature a dog walk on Hudson’s Rail Trail, a vendor fair, raffles, crafts, contests, and more! There are still spots open for vendors and sponsors. Find out more on our website and plan to join us for a fun fundraiser that even your dog can enjoy! 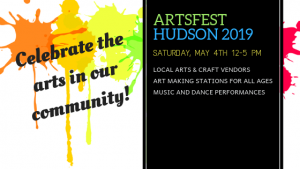 ArtsFest Hudson 2019: Join us! We have an amazing line up of vendors and performers for you at ArtsFest Hudson 2019! 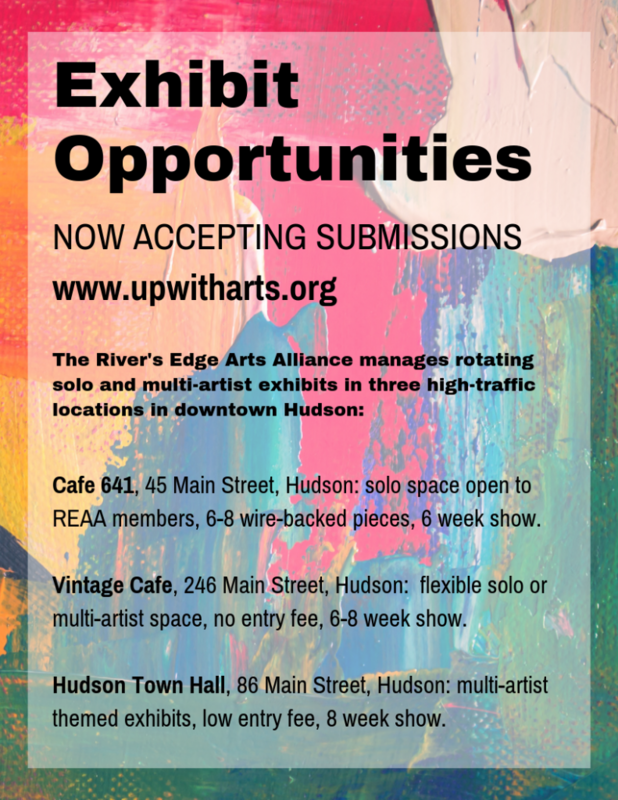 The River’s Edge Arts Alliance is proud to sponsor this fabulous community event, and we’d love to see you there. We’re also still looking for a few volunteers to make this celebration of the arts in our community happen. Find out more and sign up now! We’re so pleased to offer a number of visual art exhibit opportunities this spring. We have openings coming up at Cafe 641, Town Hall, and Vintage Cafe. 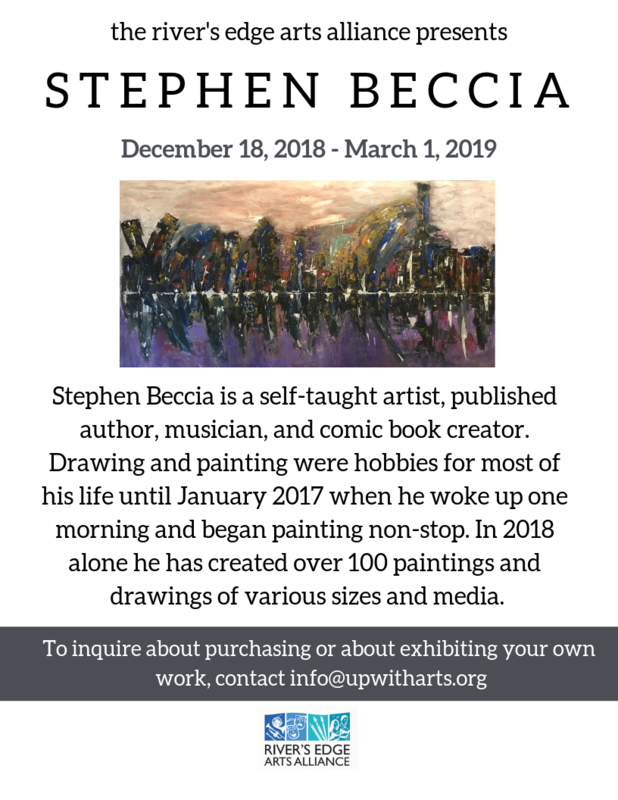 Check out our visual arts pages for more details on all three!